What Are Key Benefits of Using Copper Electrical Wire? 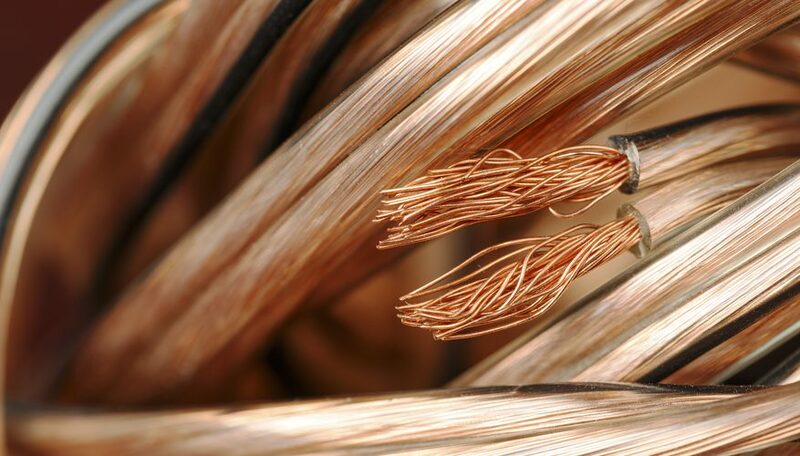 There are many good reasons to use copper electrical wire, particularly for safety purposes. You will find that most electrical and electronic goods and appliances use the copper electrical wire. This is why it is one of the most extensively used wires. Even though there are other varieties like fiber-optic cables, copper wires continue to be popular. There are some important advantages which you can enjoy when you use the copper electrical wire. To start with, copper wiring is known for its conductivity and heat resistance. They rank next to silver in terms of conductivity. Moreover, the copper wires are also capable of handling much heavier loads of electricity as compared to non-precious metals. Copper has higher resistance power to heat and therefore can successfully do away with overloading issues. Copper electrical wire is also preferred because it is ductile and malleable. The wires are even thinner than human hair and they can be easily bent or twisted as required. This is why copper wiring is perfect for constricted areas where the wires may need to be bent. You will not have to worry about the wires breaking or getting damaged when they are being twisted. Copper wire finds use both in heavy equipments like making of thick cables for electrical posts or for appliances like headphones which need ultra-thin wires. Copper finds use is a variety of industries like manufacturing, electrical and electronic, telecom companies and even marine industries. This is because copper wires have very high thermal and electrical conductivity. Unlike silver which is known for highest conductivity, copper is highly affordable. In industries like marine or construction where wires have to be very flexible, copper finds a lot of use. Copper electrical wire is preferred because this metal has a very high melting point. This means that it can withstand high temperatures. They are safe and will not melt easily. As a metal, copper is very strong and the wires made from copper are found to have high tensile strength. This makes the copper electrical wire very beneficial for the telecommunication industry wherein the wires are needed for sending signals across very long distances. In terms of compatibility too, copper wiring is popular because it can work easily with other metals. You will find a variety of copper wires like the bare copper wire, stranded wire, tinned copper wire etc. Copper electrical wire has high resistance to corrosion. This is especially important for the marine industry where equipments are exposed to a lot of moisture. Because of excess humidity in the air, metals tend to experience breakdowns frequently. Copper however is resistant to rusting and this makes it much desirable for under-water equipments and marine appliances. Installing and working with the copper electrical wire is simple and hassle-free. It is a strong and durable metal which can be set up and bent to suit buyer requirements. This entry was posted in Copper Wire on April 8, 2019 by info@rajasthanelectric.com. Call center outsourcing industry has witnessed a huge growth in the last two decades. Companies outsource their non-core operations to reliable parties in order to focus on their core operations. Call center outsourcing helps companies optimize operations, enhance customer service and improve the bottom line. Your customers and supply chain partners may have queries 24*7 but you may not be able to provide round-the-clock customer service. 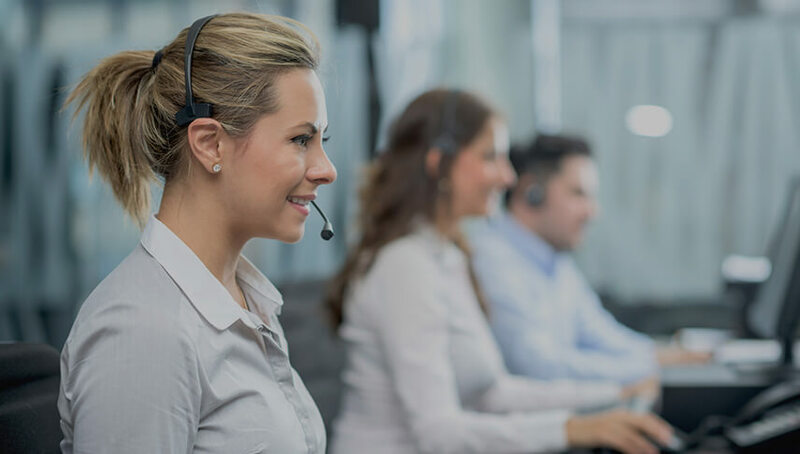 Call center outsourcing allows you to have a team of competent professionals that cater to your customers at all times. This obviates the need for setting up a separate customer support department. Your customers can connect with this team through an array of communication channels and get their queries answered satisfactorily. Outsourcing call center services is more cost-effective than managing them on your own. When you outsource services, you are done away with the need for hiring new employees, training them and buying new equipment. Whatever money you save here can be used in optimizing your manufacturing process and improving your product. When you outsource any process, you delegate it to a team of professionals who hold expertise in that process. They are aware of the latest tools, technologies and trends in that area. This assures you of the quality of the service delivered. saves you from the need of hiring new employees and allocating several weeks in training them for the job. Call center outsourcing helps you focus on your core business operations. You can dedicate your time, energy and resources in improving your product and enhancing customer experience. This allows you to achieve an edge in today’s fiercely competitive business landscape. If you manage call center operations on your own, you may not be able to handle peak volume overflow. This will increase customer complaints and lead to customer dissatisfaction. When you outsource such processes to a reliable partner, such challenges do not come up. Most of the outsourcing vendors are prepared to handle high volumes at any time of the day. When you outsource a call center process, you have access to customer data collated through different channels. This data can be analyzed to gain valuable insights regarding the customer and understand their needs and challenges. This helps you to serve your customer better and offer them personalized solutions. Call center outsourcing offers several key benefits to manufacturing companies. You can hire a group of competent professionals to get your work done satisfactorily, and that too with the latest tools and technologies. You can delegate mundane, repetitive work to a reliable partner while focusing on your core operations. All these benefits help you stay ahead of the competition. This entry was posted in Manufacturing and tagged Call Center, call center services, Outsourcing call center services on April 6, 2019 by info@rajasthanelectric.com. Bare copper strip: Why is it the preferred choice of electrical appliance manufacturers? Copper strips are products that find extensive industrial and domestic usage. Copper strips come in several forms. Some popular ones include: paper copper strip, braided copper strip, enameled copper strip, and bare copper strip. Out of all these forms, bare copper strips are extensively used in electrical appliances and are the preferred choice of many electrical product manufacturers. Ductility and Malleability: One of the most striking features of bare copper strip is its ductility. Bare copper wires can be easily pulled or twisted and, therefore, can be easily fitted in areas or corners that are hard to reach. Besides, bare copper wires are malleable. They are soft and can be easily shaped and manipulated. They do not break easily under pressure. All these properties ensure a smooth installation of electrical wires. High Electrical Conductivity: Copper has high electrical conductivity. In fact, the electrical conductivity of copper is the highest among all non-precious metals. This property makes bare copper strips the preferred material for many electrical appliances. High Thermal Conductivity and High Melting Point: Copper is a good conductor of heat. It allows heat to pass through it easily and therefore bare copper strips are a great choice for electrical appliances that tend to generate a lot of heat. Copper also has a high melting point. High melting point ensures the wires do not burn at very high temperatures and the electrical appliances remain secure. It means if you are using wires with copper strips, you don’t need to worry about electrical fluctuations or fire hazards. Corrosion-resistance: Copper is resistant to corrosion. It does not rust or oxidize. For this reason, bare copper wires find extensive application in marine appliances. Compatibility: Majority of the electrical manufacturers prefer using bare copper strips in appliances. So if you are installing wires at homes, use copper to maintain compatibility. Using wires of any other material can lead to galvanic reactions and therefore prove to be dangerous. So it is better to avoid risks and use copper. Durability: Bare copper strips are also durable and last long. So if you are installing copper wires, you do not need to worry about going for frequent repairs. Bare copper strips are also unaffected by weather fluctuations and are non-magnetic in nature. All these properties explain why bare copper wires are so extensively used. In contrast to bare copper wires, there are bunched copper wires where many small gauge wires are braided and compressed together. They are coated with some non-conductive material and twisted to produce loops. These bunched wires are easier to install than bare copper wires. Bunched wires have a high resistance to corrosion and become hard on bending. Bunched wires find applications in headphone cables, speakers, and automobiles. Bunched wires also ensure smooth connections and help cables perform optimally without hassle. While purchasing bare copper wire or bunched copper wire, you should keep certain things in mind. Always ensure the supplier you are buying from is reliable and has a proven track record. The supplier should also comply with all the rules and regulations of the industry. Try to get feedback from other customers. Make sure the supplier has customer-friendly exchange policies so that any defective material can be returned without much hassle. 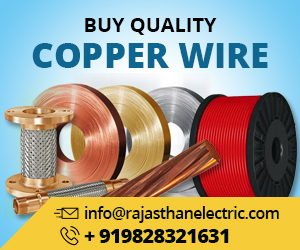 In case you are looking for more information related to bare copper wire or bunched copper wire, please mail us at info@rajasthanelectric.com. This entry was posted in Braided Copper Wire and tagged bare copper wire, copper strip on March 29, 2019 by info@rajasthanelectric.com. Why are PVC Insulated Wires Needed by Electrical Industries? PVC insulated wires or the Polyvinyl chloride wires are extensively used for making cables. They are used for insulation purposes and for sheathing and bedding purposes. With the years, PVC insulated wires have started replacing the rubber insulated wires which were used for household wiring needs. These PVC wires are easier to process and they are very cost-effective. They last longer, more than 30 years. This entry was posted in PVC Wires & Cables and tagged PVC insulated wires on February 20, 2019 by info@rajasthanelectric.com. Why Is The Aluminum Rod In Demand Among Electrical Goods Manufacturers? This entry was posted in Aluminium Wire and tagged aluminium rod on February 18, 2019 by info@rajasthanelectric.com. Why tinsel copper wire the most preferred metal? Tinsel wire is a low voltage electrical wire that is used mainly where high power-driven flexibility is essential. Generally speaking, it is most commonly used in the wires that are used in telephones, particularly the handset cords, and in headphones. As tinsel wires are quite malleable it is resistant failing because of metal fatigue relatively to normal stranded wire or solid wire. It is usually made up of copper. 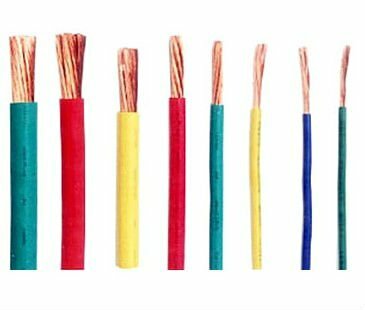 Tinsel Copper wires are used in different industry rather being restricted to electrical industry. These wires first undergo a processing through tinsel tin, tinsel Silver, silver platted copper, cadmium copper and electrolyte copper. During this processing procedure these wires are flattened and covered with thread, including cotton, nylon, silver, nomex and Kevlar. But, this all depends on the requirement of the customers. There are numerous of manufacturers that are manufacturing different types of Tin coated copper wire, and tinsel copper wire. Try to look for the right supplier! This entry was posted in Tinsel Copper Wire and tagged bare copper wire, copper wire, glass wire, nickel copper alloy, nickel copper wire, tin coated copper wire, Tinsel Copper Wire on February 7, 2019 by info@rajasthanelectric.com. Why are Copper Wires better than Iron Wires? Copper wires have been considered as one of the most preferred choice for electrical wiring mainly due to the fact that it has high electrical conductivity comparatively to other metals. High conductivity of copper actually ensures smooth passage of electricity through it without being getting much heated up. These wires are basically raw material that is used by the Cable Industries for fabrication of different types of wires. 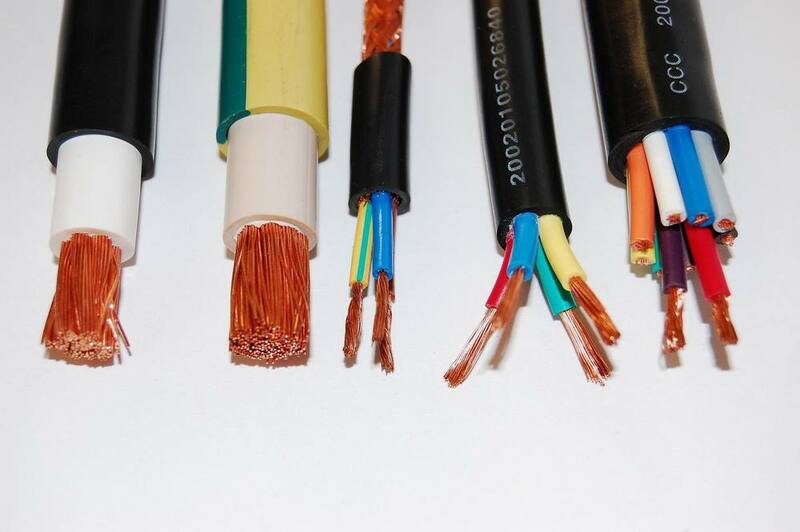 In fact, there are some of the electrical power cable that are created from copper include, tinsel wire, submersible winding wire, copper strip, special cable and control cable to name a few. Furthermore, this copper wire manufacture is even carried out for the creation of several other instruments and machines. While other metal used in fabrication of power cable is iron. PVC coated and insulated wire made from this metal is widely known plastic for the coating of electrical wires. It is comparatively more fire retardant low in resilient, cost and also has exceptional insulating properties. Wires made from these metals have become widely known as they wires made from both types of metal are used for the residential as well as commercial wiring. Some of the key features of copper that gives it an upper hand over the other types of metals is that it is highly elastic and known to have high resistant against metal corrosion. Robustness and ductility of this metal make it possible to fabricate them into different shape and size in a very expedient manner. Moreover the robustness aids copper wire withstand any type of climatic condition ranging from extreme heat to extreme cold. This entry was posted in Copper Wire and tagged bare copper wire, braided opper wire, copper strip, copper wire, glass wire, nickel copper wire, tin coated copper wire, Tinsel Copper Wire on February 4, 2019 by info@rajasthanelectric.com. Where will you use the Stranded Wire? The stranded wire is found to be far more flexible compared to the solid core wire that is of the same size. Moreover it is more useful in case you need a wire which has to be moved around often, for instance, like the wires in a robot arm. The solid wire, in comparison will be used where there is no demand for a lot of movement like the circuits on breadboard. When you are choosing the type of wiring for any electrical project, you will have to look at many important factors. Depending on the kind of application you want and the amperage, you need to choose the right gauge and the kind of metal wire which will be best for the task. The wiring expert therefore tries to see the differences between the stranded wire and solid wire too when it comes to choosing the right wiring for the project. The solid wire is going to have one metal core while a stranded wire will be made up of many thin wires that are braided or twisted together to make one cohesive bunch of wires. Both these kinds of wires can be used for both domestic and commercial usage but each has its strength and weaknesses which help us decide on the right one for the application at hand. This is why the solid wire is typically used for all rugged-duty applications and outdoor uses where such wires are likely to be exposed to very adverse climatic conditions. The stranded wire, however, will be used more for intricate and sophisticated uses like in circuit boards and electronic devices. Here the wires are going to be well protected even though they may be twisted or bent while connecting them to electronic components. There are many advantages of using the solid wire, the main ones being simplicity of use, durability and costs. Since the solid wire comprises of only one metal core, the chances of damage to it are less. But, when you must use these for bending and twisting like in the making of circuit boards the stranded wires are the best. They are most often used for vehicular applications and for robotics. Here, the solid wires are of no use because they do not have the malleability or strength to withstand such reshaping or frequent movements. The stranded wire is the best possible option for applications where a lot of lot of reshaping is needed. This wire is however not very good for preventing electronic interference since air channels in between these strands can increase skin effect which is triggered by the magnetic fields on wire surfaces. Where costs are concerned, it is necessary to see the costs in the long term. The solid wire for instance will require less upfront investment as compared to the more expensive stranded wire. But the latter will last much longer in places where there is a lot of reshaping of wires and frequent alternations. 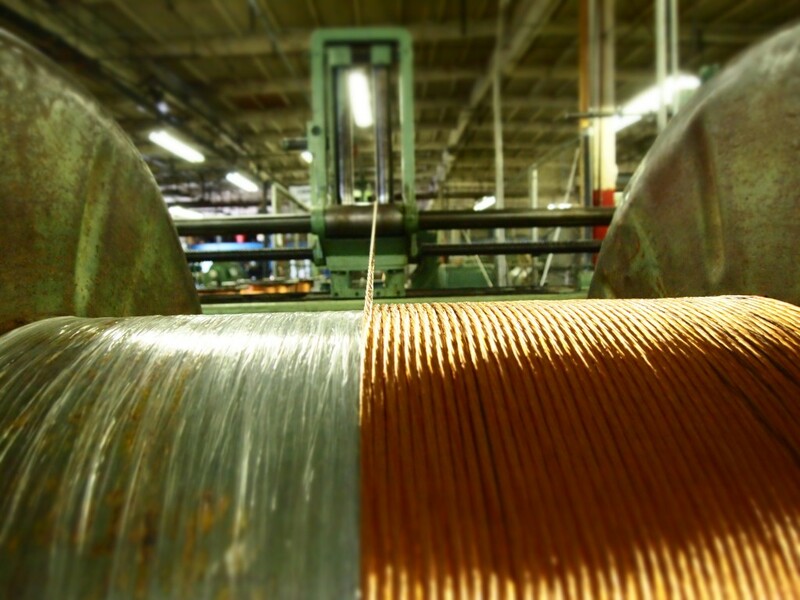 The bare stranded copper wire gets made from electrolytic grade copper. It is therefore important to choose a manufacturer which complies with global quality standards when it comes to making products from such wires. The submersible cable has been designed specially to work in marine environments. This is because this cable is known for providing electrical power even in wet conditions. The main reason why it has been able to do so is because of its rubber and plastic coating. This plastic coating allows the cables to withstand all liquid substances like oil, water or grease. The submersible cables have robust mechanical and electrical properties which can protect them from oil or water. Such cables can be found in single or multiple conductors. Their shapes or sizes will differ according to the applications for which they are used. They are mainly used for power conductors for pump motors. Besides, these cables can also be used for irrigation systems, underground mining, and drilling works. When identifying a manufacturer for buying these cables, it is important to check their credentials and reputation. You need a manufacturer which can offer you quality products at affordable rates and which have a buyer-friendly return and exchange policy. This entry was posted in Bare Copper Wire and tagged bare copper wire, Braided copper, copper wire, stranded wire on January 21, 2019 by info@rajasthanelectric.com. 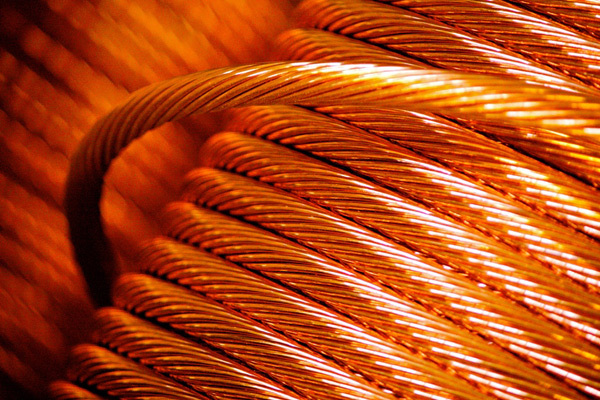 Copper wires are the most reliable and popular for use in electrical appliances and goods. It is the favorite for the electricians and technical people dealing with any type of wiring. People have always been used to the round wires and cables having been used since ages. However, as technology developed, the need for something more flexible arose. 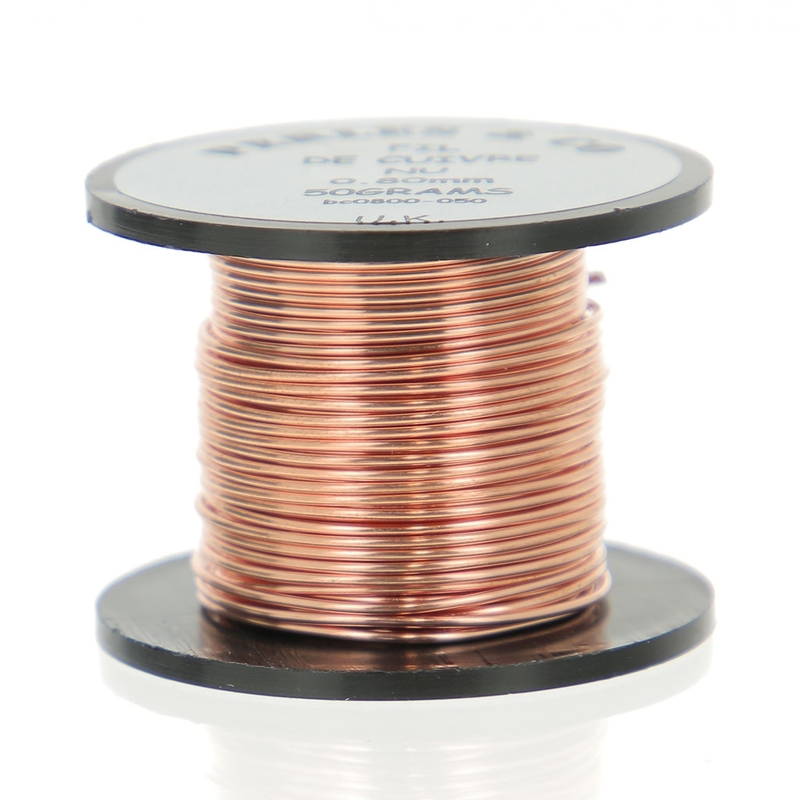 The copper flat wire was development sometime close to the mid-20th century to address this requirement. This brought about significant changes in the way copper wires could be used ushering in ease of use, improved performance, reliability, and wider acceptance. 2. Copper is an excellent conductor of electricity. Only silver surpasses copper in terms of electrical conductivity, but it is expensive on one side and does not have so many attributes. 3. It is robust, resistant to abrasion, heat resistant, and can withstand adverse climatic conditions. There is a frequent rise or fall in the temperature in electrical lines. Copper can sustain fluctuations. 4. The metal is durable, flexible, and very ductile. It can be stretched, molded into any form, and still retain its strength. 5. Copper is available in different forms and is mixed with other metals to form highly efficient alloys. It can be customized and used as per your needs for connectors, braided tapes, cables etc. Copper flexible connectors are made from silver-plated, tinned, and bare copper wires. Several industries depend on these connectors for use as joints to connect bus bars. Foils of electrolytic copper are stacked together, and electric current is applied under high pressure. They are widely applied in VCB, bus ducts, switchgear industries, resistance welding engineering, power plants, electric locomotives etc. There are numerous ways the copper flat wire is used for wiring needs such as low-voltage lighting, data, audio, video, HDMI, and highly efficient in streamlining a worn-out home theatre system that requires revamping. Flat wires adapt very well to all types of surfaces. They can be installed easily. You just need to push and press, it sticks firmly. You can bend it, fold it, stretch it, use it anywhere without worrying about its strength or durability. it removes all the complications that are associated with the round wires and cables. The use of flat wires often reduces the overall weight of the product. Tapes, fillers, insulation etc, adds up to the weight of the product. It is strong by itself and does not require any large conductors for strength. The current load can be carried with much lower cross-sections managing voltage drops. Applications that require movement like drawers, Axis-control equipments, medical diagnostic appliances, robotics, doors, rotating arms, and similar need flexibility in all the tools. The way the copper flat wire can be bent and applied with minimum wiring errors while eliminating malfunction risks. Flat wires achieve better cabling density than the normal other conventional cables. They are more effective for higher conductor applications than the round wires or cables. When the need of fillers, insulations, tapes etc., is not there, it automatically reduces not only the weight but creates more space for the copper flat wire. It can be stacked and layered in any manner ensuring there is no wastage of space. The above-mentioned properties define the flexibility and suppleness of the flat wires. This increases its usage among different applications. Certain applications require maximum flexibility. So, it is important to check the shielding material that is being used. The conductor must be left open or have exposure rather than be under cover to ensure strong bonding. It will also reduce the risk of conductor movement. Alignment is preserved when the movement is lessened. Silicon rubber should be tried as they can provide more flexibility than the PVC insulation. It is necessary to ensure the jacketing material must be hard and should not succumb to wear and tear while in motion. This entry was posted in Copper Wire and tagged bare copper wire, copper wire, copper wire manufacturers in india, copper wire price on January 14, 2019 by info@rajasthanelectric.com. It is not necessary that a cable and wire manufacturer has the same capability as the other manufacturer. Their services may differ based on the size, dimensions, price, and of course quality. The wire manufacturers differ in their expertise and finding one who has the capabilities to provide products as required by you can be time-consuming unless you are ready with the information they would require, and you are prepared with your questions. 1. The design: Determine the type of wire you need, whether you need it to for a new setup or is there a previous existing design that you need to improvise. If it is the latter, you must inform the suppliers when it was installed, its cost, brand, and the quality. If it is for a new setup, ask for quotes from different wire manufacturers, negotiate, check for quality, their ability to scale in case you require more, the return policy for any leftover material etc. 2. Technical points: This might include the power the cable needs to deliver, number of contact points, voltage, grounding, the type of signal, its speed, the type of connectors you will need etc. If you are sure of what you need, it will save plenty of time and money. In case you are not comfortable with the technicalities, the manufacturers have their specialists who can help you determine and provide a customized solution. 3. Quality concerns: It is important for you to inform the manufacturer the purpose and where you will be using the wire. 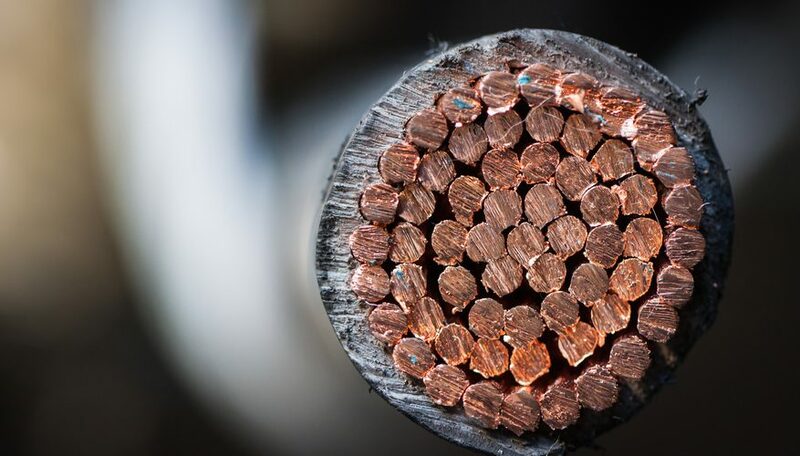 While most of the wire manufacturers use copper because of its amazing properties, you must make sure they are corrosion -resistant, durable, can withstand heat, moisture, and other calamities. These are the general requirements. If your requirement is for some hospital or health concerned, the equipment may need frequent sterilization or washing. Such specific points must be informed in advance so that they build the product accordingly using different technologies. Copper, as mentioned, has many remarkable properties. It is a good conductor, can be molded in many ways, and is far less expensive than silver, the other metal which offers superior conductivity. Wires are used everywhere- overhead, underground, in buildings, external wiring and in almost all electrical and electronic items that requires wiring. Copper is durable, robust, and gives longevity to all products it is used in. It can sustain all types of extremities- heat, rain, any other outage without causing any risks to life. Copper is either used in its raw form or at times, mixed with other elements like aluminum, nickel, lead, tin, and more. Almost all manufacturers are available online with their website. They display their licenses and certifications in a prominent corner or in the About Us page. This is practically seen in every business website with licenses and certification from their respective industries. For the wire manufacturers the most important certificate is the ISO (International Organization for Standardization). It is recognized all over the world and applies to most industries. The certificate ensures the reputation of the supplier. It confirms that the products are of high-quality and they meet all the safety measures that are required. This is important since you are talking about products that can cause fire and destroy both property and lives. In India there are other registrations to be done like the SSI and NSIC. Because they maintain the quality and safety standards most of the manufacturers and supplier have their clients from the international market. The Indian copper manufacturer usually carries a copper wire exporter license. They have an IEC code number and is a registered member of the Federation of Indian Export Organization (FIEO). They ensure the material they supply is tested several times before it is released into the market. The competition is growing in the wire manufacturing industry. The wire manufacturers while ensuring the quality cannot afford to price their products high. Copper wire is used in the making of biometric scanners which nowadays are important for identification while entering most of the places that require high security. It is used in industries like telecommunication, aerospace, defense, and every electrical appliance used in homes. This entry was posted in Copper Wire and tagged power cable manufacturers, Wire Manufacturers, wire manufacturers in india, wires & cables manufacturers in india on January 7, 2019 by info@rajasthanelectric.com.